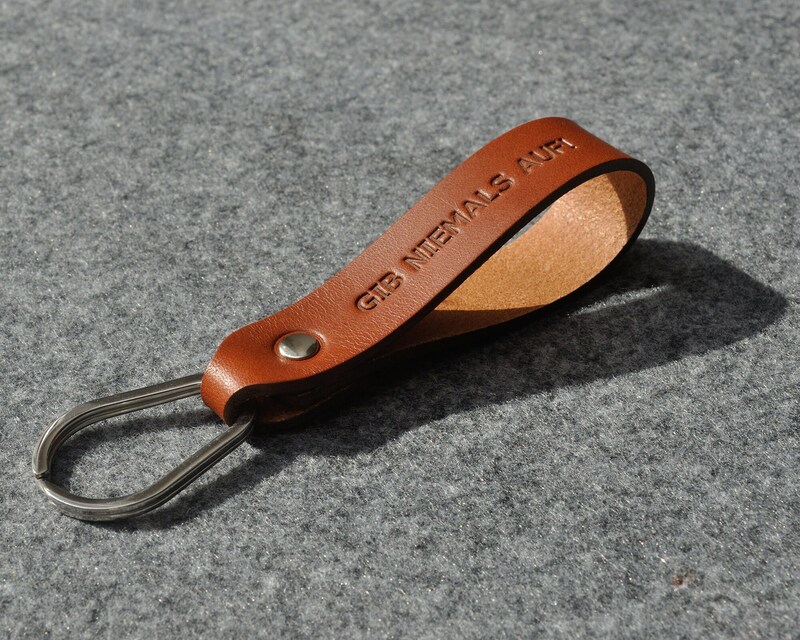 Keep your keys safe and stylish with this single leather customizable keychain FOB. Simple enough for everyday use yet elegant enough for a thoughtful gift, this personalized keychain is truly versatile. 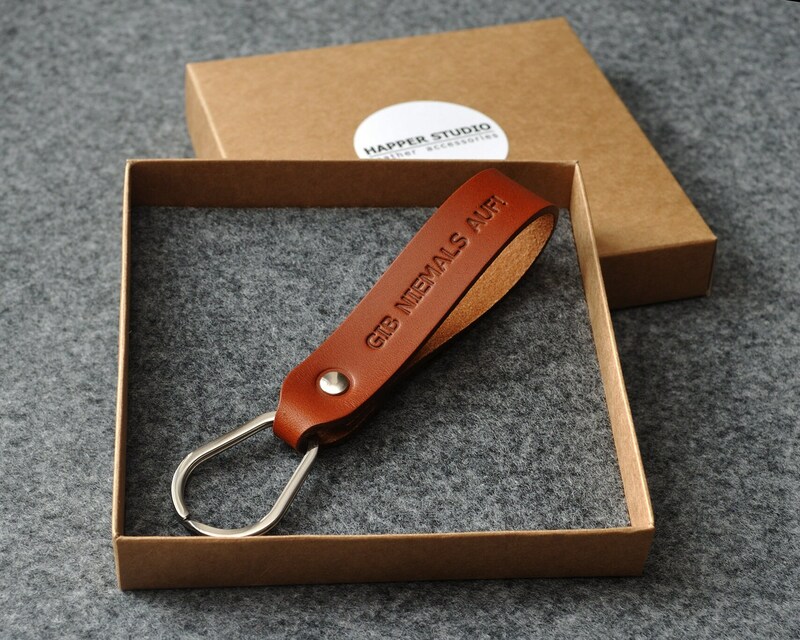 Measuring at approximately 3 mm in thickness, this quality leather keychain will prove both durable and useful. 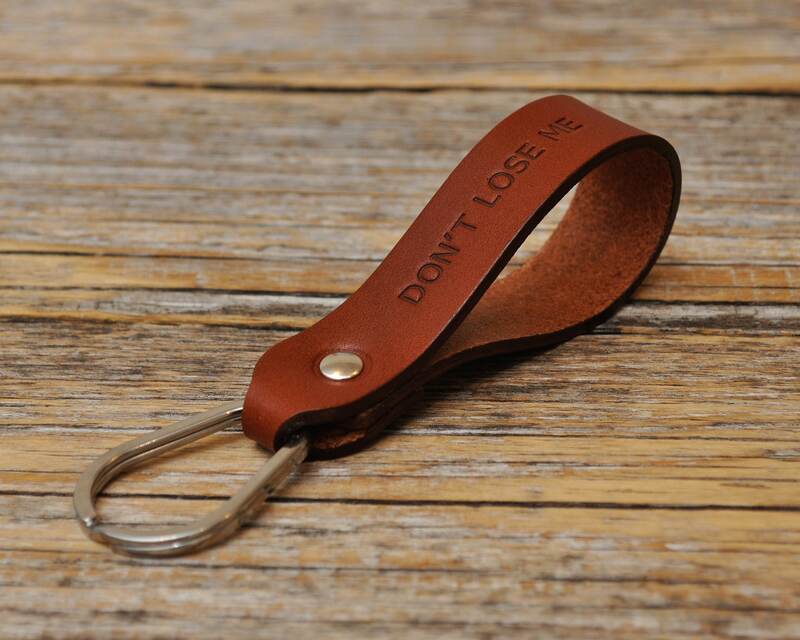 Read on to learn how you can personalize this strapping leather keychain. - Specify the message you would like to appear on the keychain. 15 characters maximum. If you would like more letters then please message us! also can incorporate numbers and the following special characters: & ♥ ’ ° ” + - / , . ? ! Here at Happer Studio we pride ourselves on customer service. We provide same or next business day shipping, and you always have the opportunity to return a product if you are not satisfied. Happer Studio is a small family run business. Our offered products include handmade leather cases for laptops and phones, bags, sleeves, and accessories. We pride ourselves on our products, and we look forward to you joining our small family here at Happer Studio!